Our experts at Garage Door Repair Henderson are dedicated to ensuring that your garage door springs are in top condition. These components are arguably the most important parts of the system. Due to the nature of their operation, they are under a lot of stress on a day to day basis, and therefore can be very susceptible to wear and tear damage. 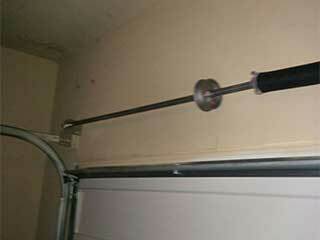 Since wear and tear is an inevitable part of their lives, garage door springs can do with some regular maintenance. Routinely examining them and applying the proper lubricant to their bodies will go a long way in making sure they are able to function optimally for a long time. If any issue is detected, the springs will be replaced on the spot, and thus a lot of unexpected accidents will be avoided. Since these components are under a great deal of tension, when they break, the dangers are plentiful. The first thing to know is that you should never try to operate your garage door after one or more of its springs breaks. It could lead to the panels collapsing, which is incredibly dangerous. What's more, trying to replace the damaged spring by yourself is highly inadvisable. These components require special tools and professional expertise in order to be handled safely. Inevitably, every spring will break. However, as we mentioned before, through routine maintenance the dangers involved in such a scenario can be greatly mitigated. Still, some minimal chance will always exist, and if your spring breaks unexpectedly one day, you should call our technicians without hesitation. It will be impossible for you not to notice this, as the loud bang you'll hear resonating from inside your garage will be a dead giveaway. You'll also more than likely notice that your door panels are tilting or sagging. Again, you must avoid trying to handle this problem by yourself, as it can be extremely dangerous. Our experts at Garage Door Repair Henderson can help you with any type of spring related issue. If one of these components breaks, be sure to contact us as soon as possible.